Slider Option: This is header slider setting options. 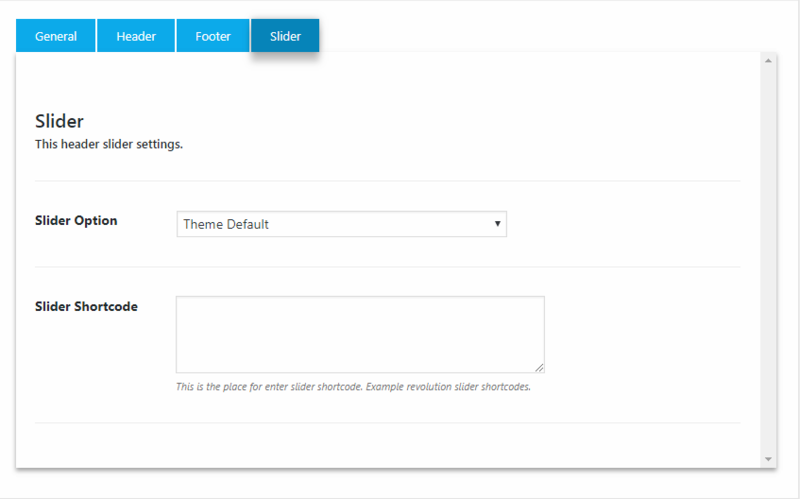 Slider Option: Select your current post slider options like (below header, above header, none, default). Slider Shortcode: This is the place for enter slider shortcode. Example revolution slider shortcodes.